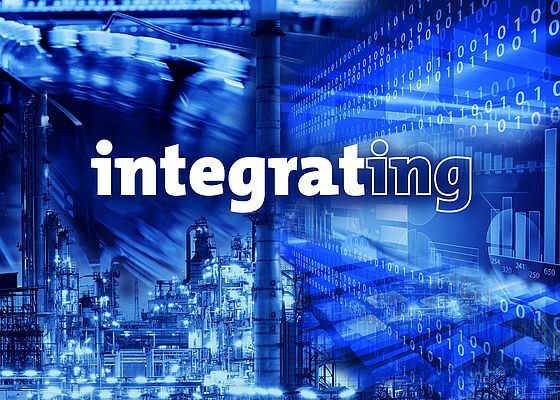 With its products and solutions, Softing closes technological gaps between OT and IT, and creates the conditions for seamless exchange of digital data in Industry 4.0 applications. A highlight in the area of data integration is the new “Industrial IoT Starter Kit”, which is presented as a live demo at the SPS IPC Drives. The starter Kit represents a fast and easy way to securely link the production line to the cloud. This plug-and-play solution brings together the power of HPE hardware, Softing software, and Microsoft Azure. The new release version 4.45 of Softing’s “dataFEED OPC Suite” offers direct symbolic data access to "optimized blocks" in Siemens SIMATIC S7-1200 and -1500 controllers. The suite combines a full package of components for OPC communication and cloud connectivity within a single product. Further features are the secure communication via REST protocols and write access to NoSQL databases. At the trade show, Softing introduces the “dataFEED uaGate MB” for the integration of PLC data from Modbus controllers into local applications and the Cloud. This is a new offering besides the well-known “dataFEED uaGate SI” for the integration of S7 data. In the field of toolkits Softing focuses on two solutions. The “dataFEED OPC UA Embedded Development Toolkit” allows the fast development of OPC UA servers on embedded systems. It is based on the ANSI C standard and features a low memory footprint as well as minimal requirements for computing power. Users benefit from the utilization of predesigned and tested toolkit functions and can use these to significantly shorten the time-to-market of their development projects. The second highlight – “dataFEED uaToolkit .NET Standard” – allows the platform independent development of OPC UA clients and -servers, leveraging Microsoft's .NET Standard library. Softing’s “dataTHINK analytics solution” shows how gathered production data can be used to optimize production processes. The solution was recently presented with the Frost & Sullivan European Award for Enabling Technology Leadership in the Production Analytics Industry. With dataTHINK, production data can be streamed locally. Subsequently, unsolved disruptions can be eliminated which leads to the optimization of plant performance. The “dataFLOW commKit FF” and the “dataFLOW commKit PA” represent a new solution for the integration of Foundation fieldbus H1 and PROFIBUS PA in field devices of the process automation. By using the same module hardware, both protocols can be implemented in a single electronic effort. An absolute novelty is the fully customizable configuration of the communication interface via software script. Complex and time-consuming integration projects are now a thing of the past.